Old hat, new hat, yellow hat, blue hat. 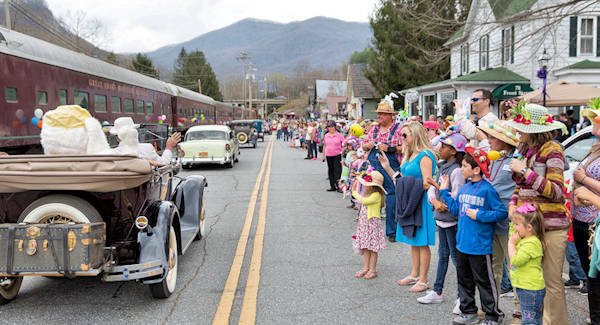 They're all welcome at Dillsboro's annual Easter Hat Parade at 2 PM. 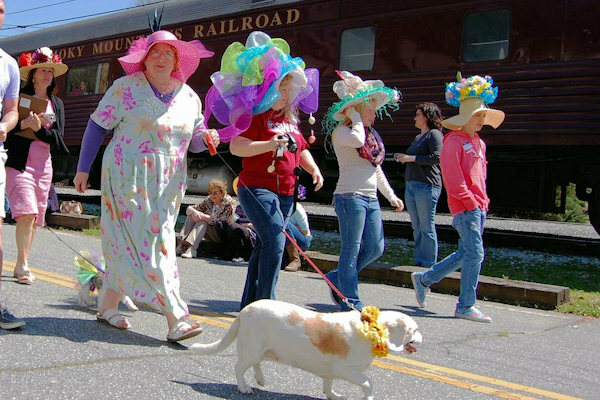 The parade, a Dillsboro tradition the Saturday before Easter, showcases a variety of interesting hats atop participants of all ages, including pets. If you don't have a hat, you can make one there! 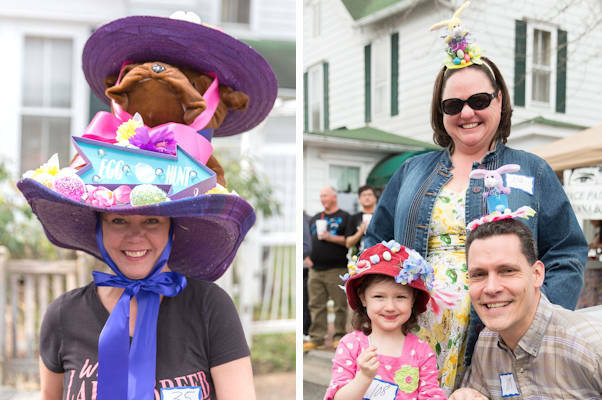 Judges select the best hats in more than 20 categories, including: biggest, smallest, funniest, best-smelling, "poofy-est," most creative, most spring-like and most outrageous. Last year, there were nearly 250 entrants in the contest. In addition to an array of colorful hats, the parade features vintage cars provided by the Old Timers Model A Club. 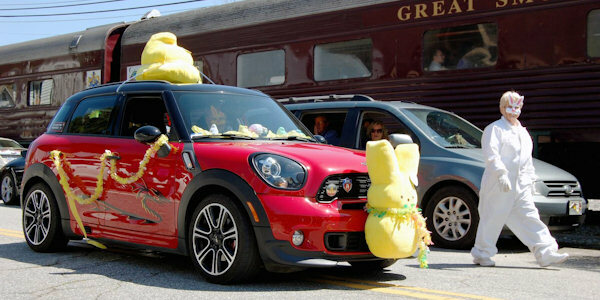 The Easter Bunny makes an appearance as well, riding in antique convertible car. 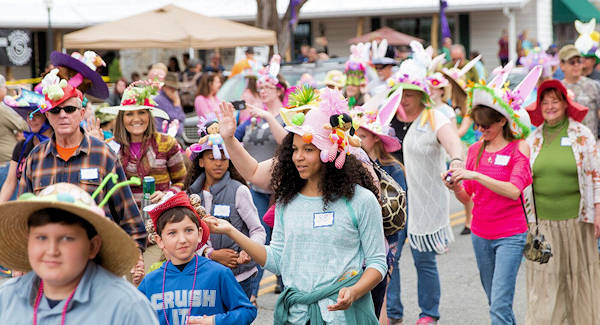 Although the Easter Hat Parade officially begins at 2 PM, arrive early and spend the day. 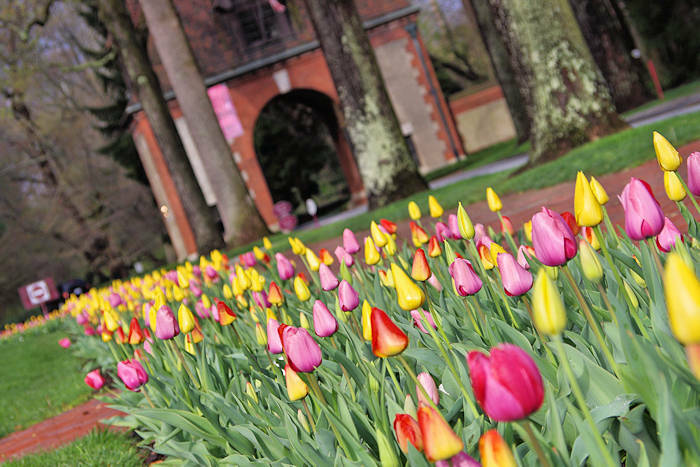 Easter egg hunts for children begin at 10:30 AM, along with hat-making sessions at Dogwood Crafters. Dillsboro is located on the Tuckasegee River, adjacent to Sylva, at the crossroads of U.S. Hwy. 23/74 and U.S. Hwy 441 in Jackson County. The town is less than an hour west of Asheville, 1.5 hours from Gatlinburg, 2.5 hours from Atlanta and Spartanburg, and 3 hours from Charlotte and Knoxville. It is a walkabout mountain village featuring an array of unique shops, arts & crafts studios, restaurants and inns. So dig out that favorite fedora or cherished chapeau and makes plan now to attend an event that’s sure to provide 10 gallons of fun for everyone. For parade information call the Jackson County Visitors Center at (800) 962-1911. Thanks to Nick Breedlove for photos! Read more about Dillsboro and Jackson County things to do. 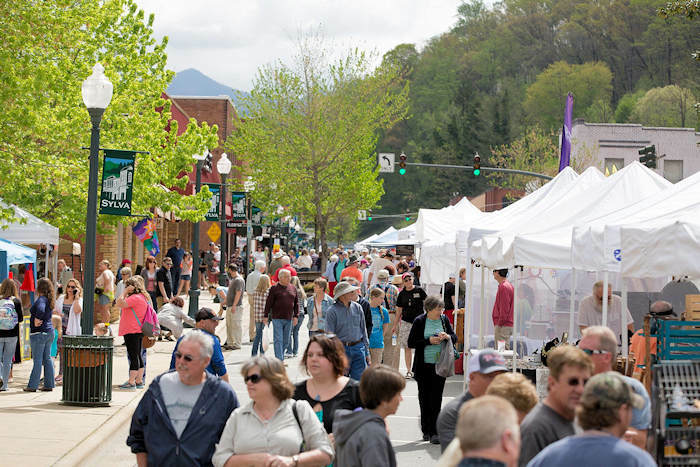 Also a bring spring event in Sylva is the Greening Up the Mountain Festival.